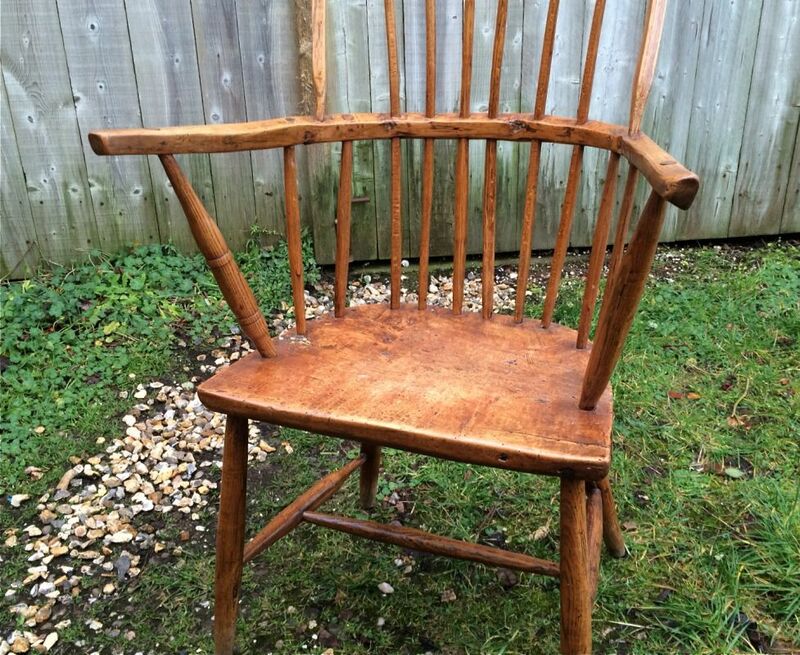 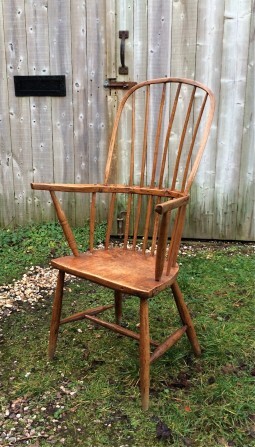 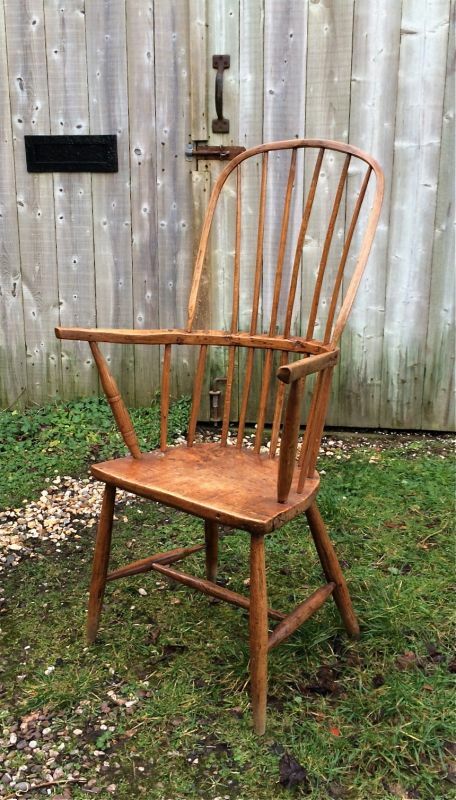 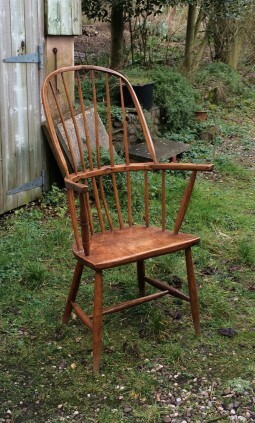 The flat front to the seat and the fine sticks of the back means that it is a Cornish chair from about 1800. 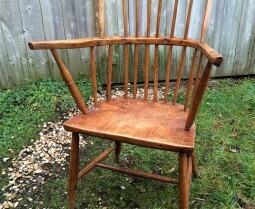 The wood of the seat is unusually sycamore (they are commonly elm), the rest of the chair is in ash. The chair is 25 inches wide, 20 inches deep and 44 inches high. 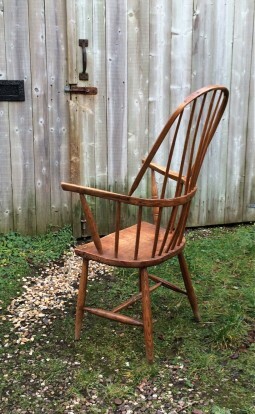 The seat is at 17 inches.